Iconic hand painted Sunburst finish making each pair unique. 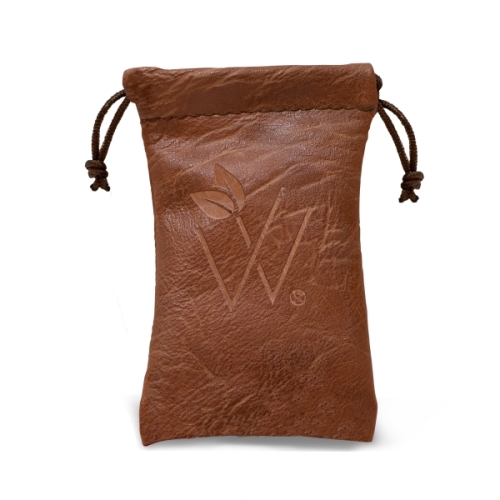 For iPhone & 2G/3G/3GS/4 Smartphones. Much of music is created with instruments made from natural wood from a finely tuned Steinway piano or Stradivarius violin to classic Fender Stratocaster guitars. The low resonance characteristics of wood provide for efficient, clean, rich reproduction of music which is why all of the most high end home speakers are made of wood. 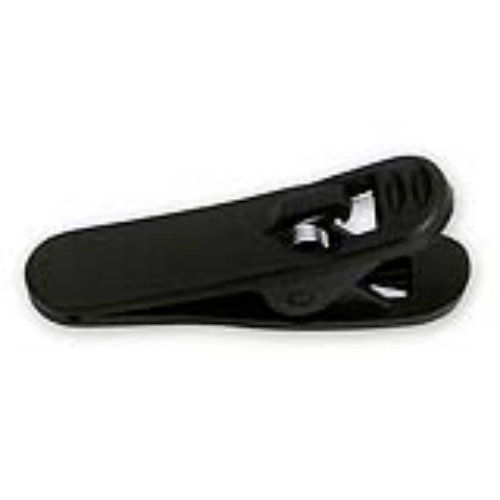 Simply tap on something metal or plastic and then tap on something made of wood, and you will instantly hear the resonance differences between those materials. 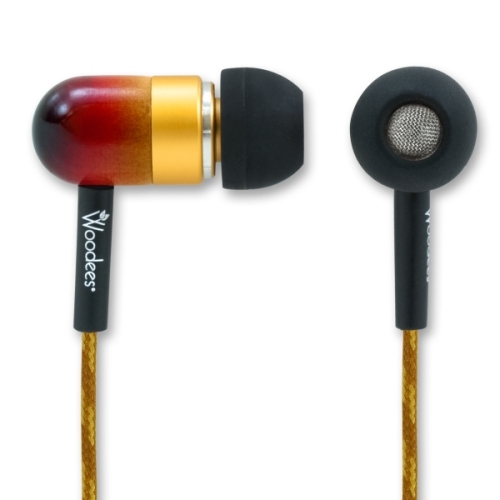 So, it is only “natural” to create quality earphones from wood. Woodees! The finest musical instruments have always been made from wood. 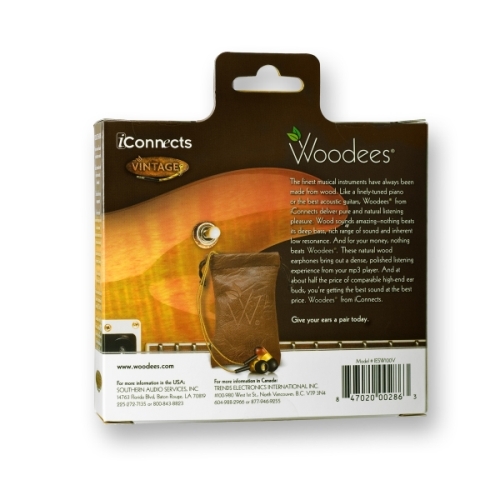 Woodees from iConnects deliver pure and natural listening pleasure. Wood sounds amazing–nothing beats its deep bass, rich range of sound and inherent low resonance. And for your money, nothing beats Woodees. 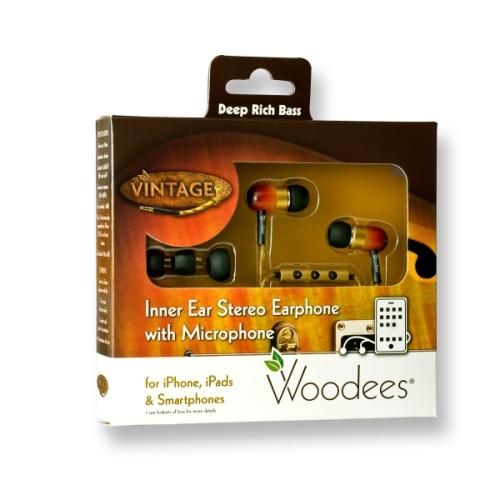 These natural wood earphones bring out a dense, polished listening experience from your mp3 player. 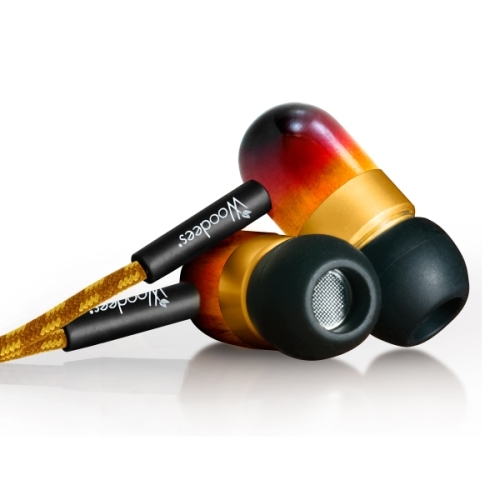 And at about half the price of comparable high-end ear buds, you’re getting the best sound at the best price. 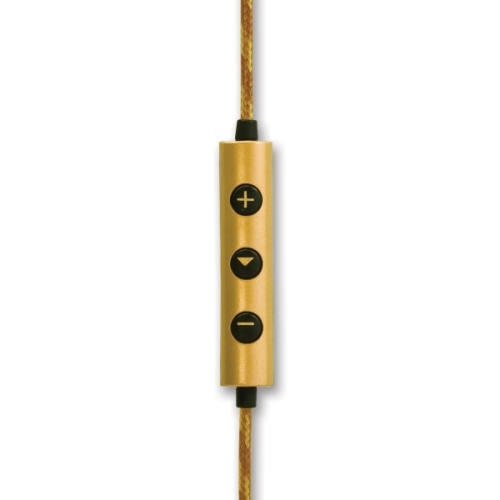 The cord is made with a very low durometer resin that creates a soft, pliable cord that does not develop “memory coil” or kinks when stowed. 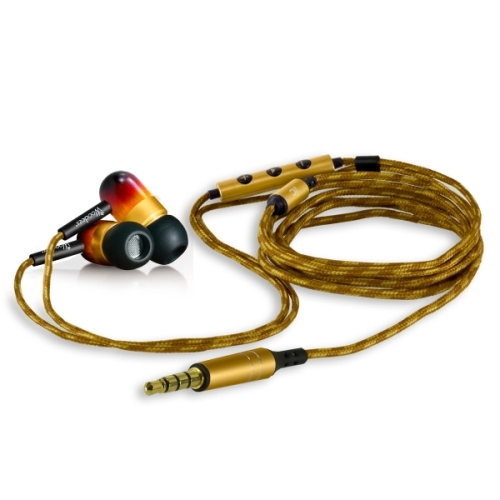 Additionally, because of the soft nature of the cord the static noise created when the cord brushes against your clothing while walking or jogging does not transfer to the earphone like with the harder plastic cords. 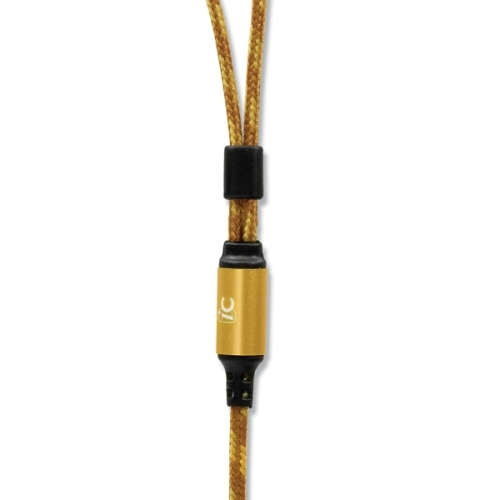 The microphone (compatible with iPhone/Smartphone 2G/3G) is small, balanced, lightweight, and sleek so as not to distract from the comfort of wearing the earphones. With a gentle squeeze of the mic, the music is paused and the mic is activated for hands free talk. Another squeeze and the call is terminated and the music resumes where you left off. Woodees. 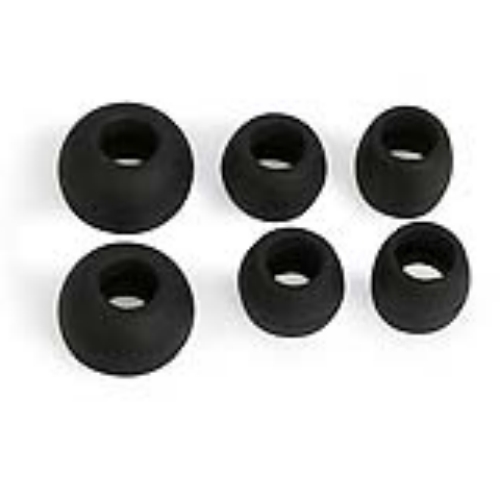 Give your ears a pair today. 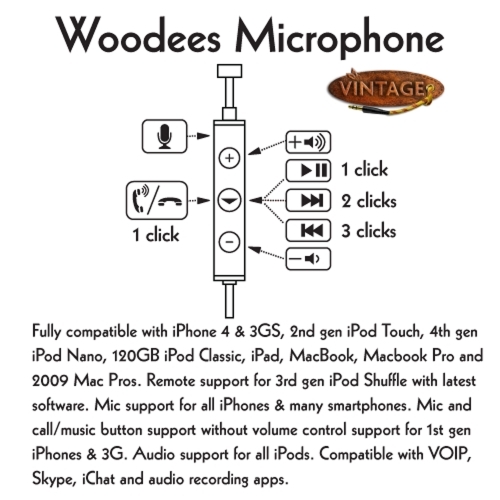 Download our Woodees sales sheet for more information.